Here is the situation: You have 10 days to travel in Japan and you could only stay in Tokyo for two days. So, you have to explore the concrete jungle and do it all out. Of course you want to stay longer but you just do not have the privilege. So, here are the tips based on my experience last summer. Warning: Be prepared with enough water, good shoes or sandals (for summer). Do not use taxi no matter how far your destination is. Just use train, bus or walk. Get yourself PASSMO or 2 to 3 days metro pass. However, metro pass only applicable to the metro lines but PASSMO works for all but you have to keep reloading the card. It was really hot in the summer. So, come here early to avoid the heat. There are many train lines that stop around the park. 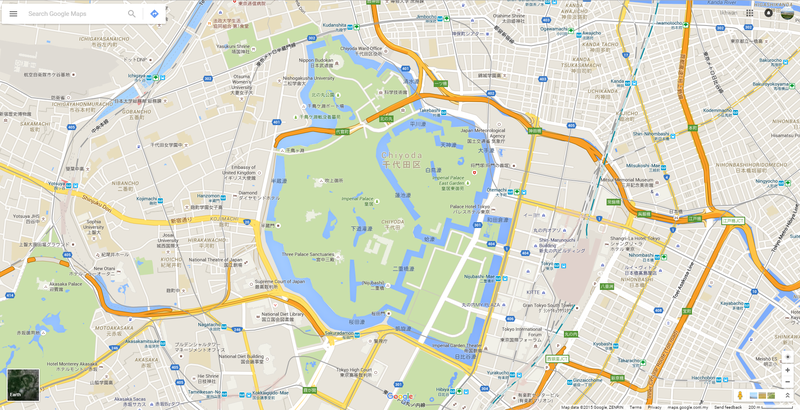 Imperial Palace on the map. I bought an Olympus water proof camera here and got it at quite reasonable price. There are so many choices here and you might need more time to explore the whole mall. Make sure you have decided what you want beforehand. You can get discount too if you use foreign passport as the tax will be deducted. If you have credit card, VISA platform may have discount too. Too many electronic stuff. You may become undecided. 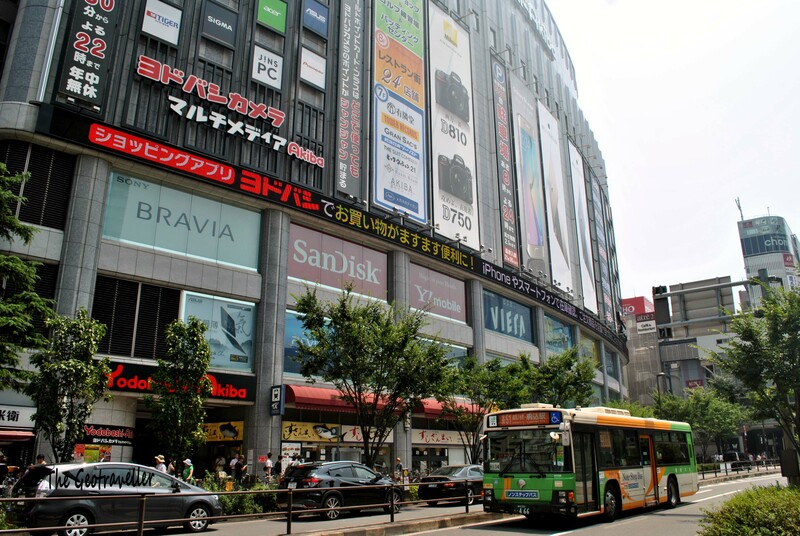 At this Yodobashi, you will see fewer foreign tourist which is better. 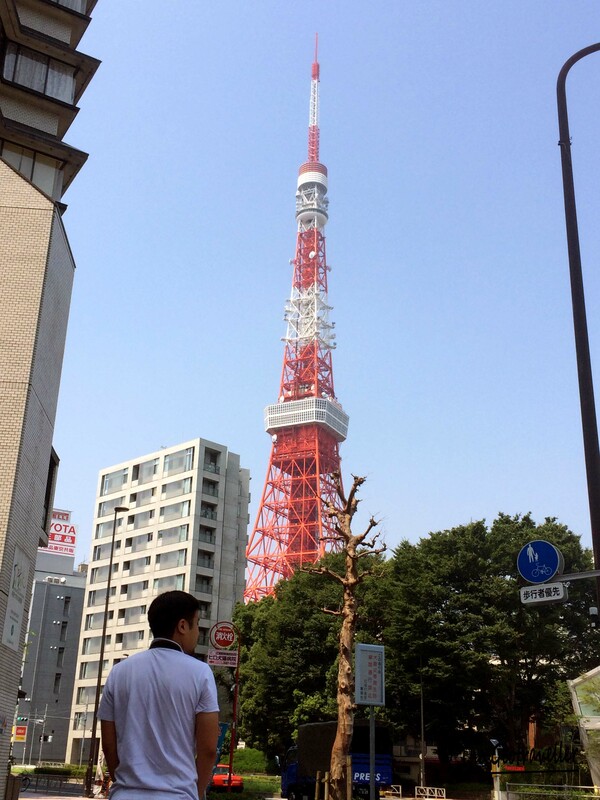 Tokyo Tower is quite far from any train station. I stopped at Akabanebashi Station and had to walk for another 650m. In hot weather, it would be tiring. Do not expect too much from the tower though. Just think about how proud you are to be in the famous tower. Especially to those who grow up with Japan anime or Tokyo based movie/drama. 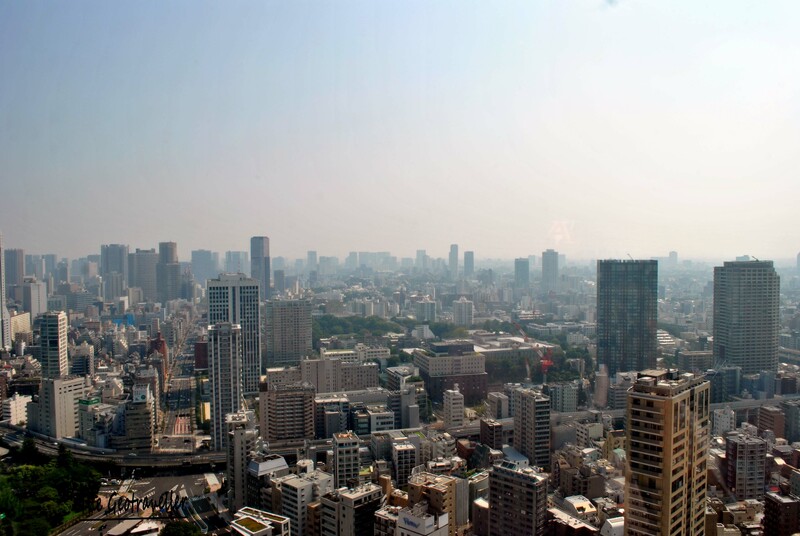 Tokyo Tower – Tokyo Metro Hibiya Line would be the closest line to this tower. 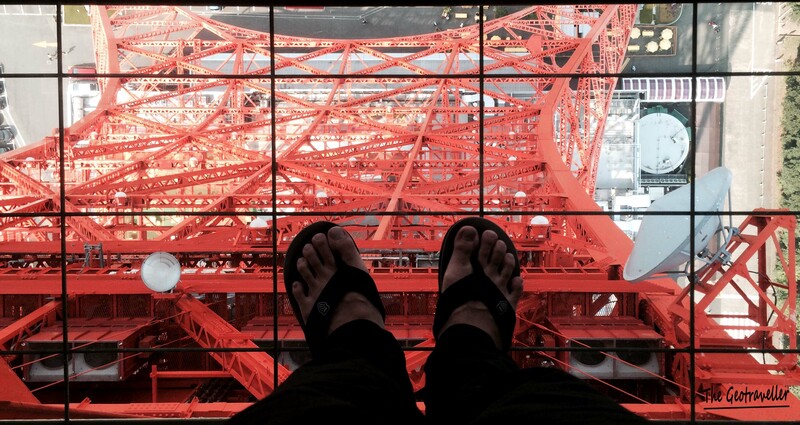 Tokyo Tower, 600m away from this location. 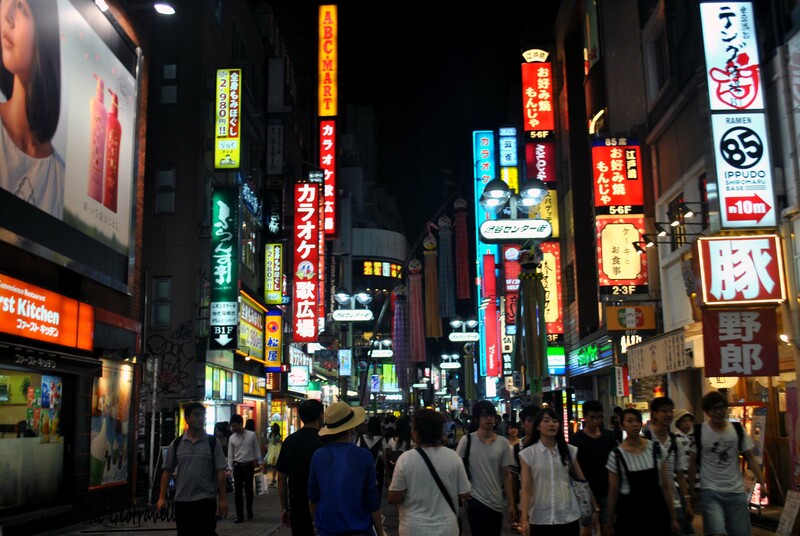 Shinjuku is busy. I do not have that much interest around here but for those who would want to see cafes such as cat cafe and malls like Keiko Mall then this is the place for you. 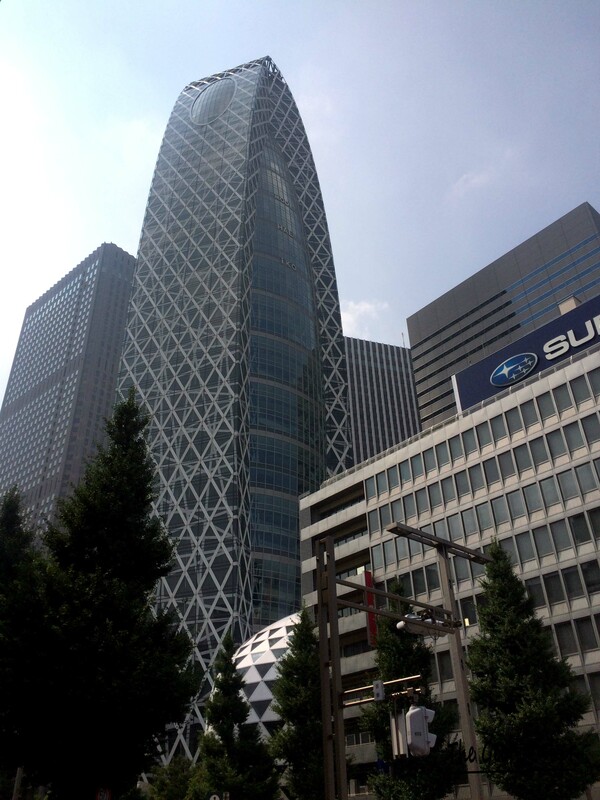 Shinjuku Station – The station is so huge you might get lost. Just follow the sign boards carefully. For shoppaholic, this would be a heaven for you. There is also Yodobashi here but more touristy. 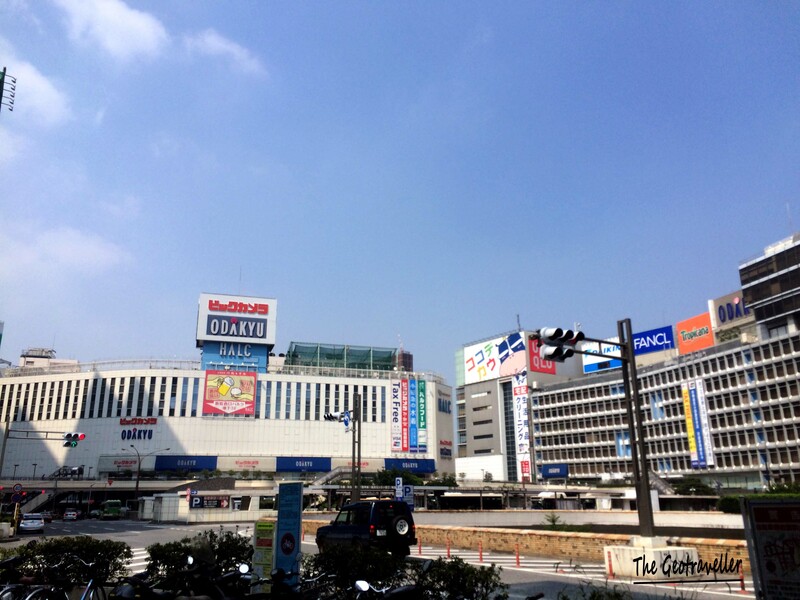 Keio Mall. It was so huge. Not the largest Uniqlo. 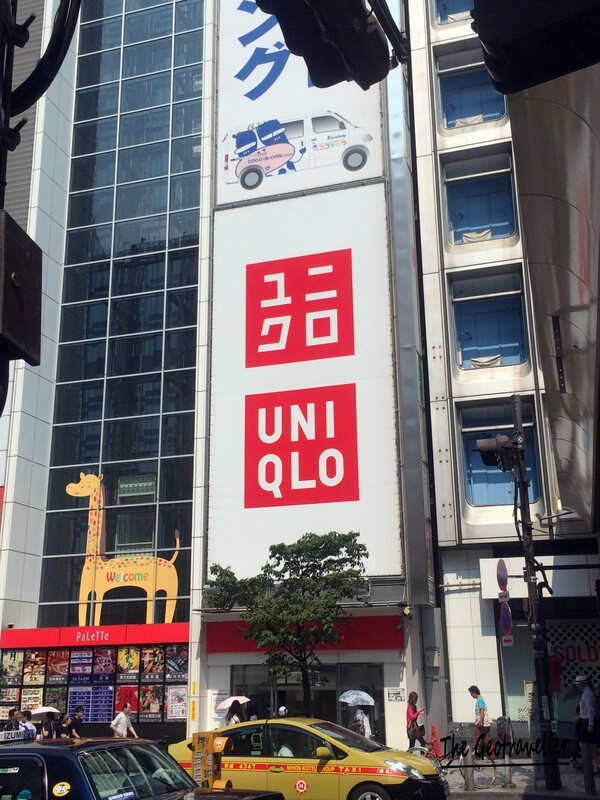 The largest Uniqlo is located at Ginza. 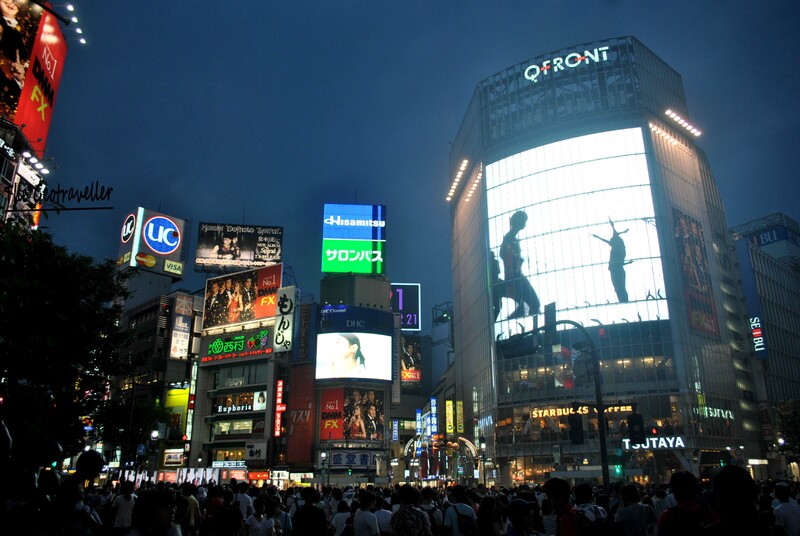 I saved the night for Shibuya because that is when the neon colorful lights show begin. Plus, you could see Shibuya Crossing from Starbucks. If you arrive early, you will have enough light to take picture with Hachiko too. 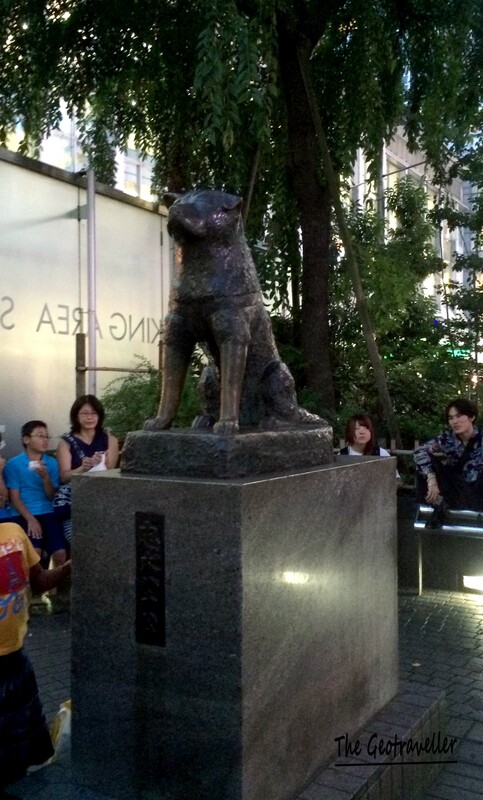 At night, Hachiko would be in the dark and the picture will not be good. 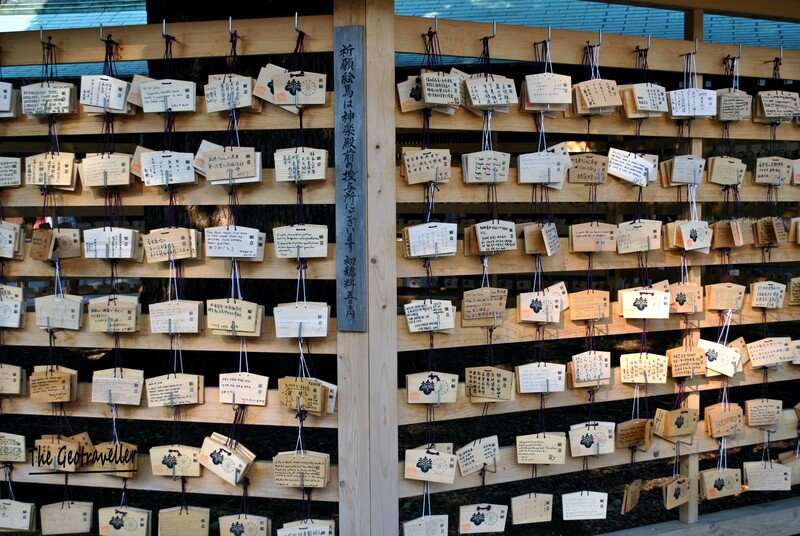 Hachiko the loyal dog. You may need to take turn to take picture with this statue and you will have to go through that while people stare and wait for you. This is a must town to visit. In this town, the famous tuna auction is held at the market. However, there is limitation on number of visitors (only 120 people allowed) with first come first serve basis. Make sure to come as early as 4 am or earlier to grab the seat. Check out the detail explanation here. We did not make in time and as we arrived, the wet market was almost closed. It was at 9 am. However, don’t give up just yet. The market around the area is satisfying enough. 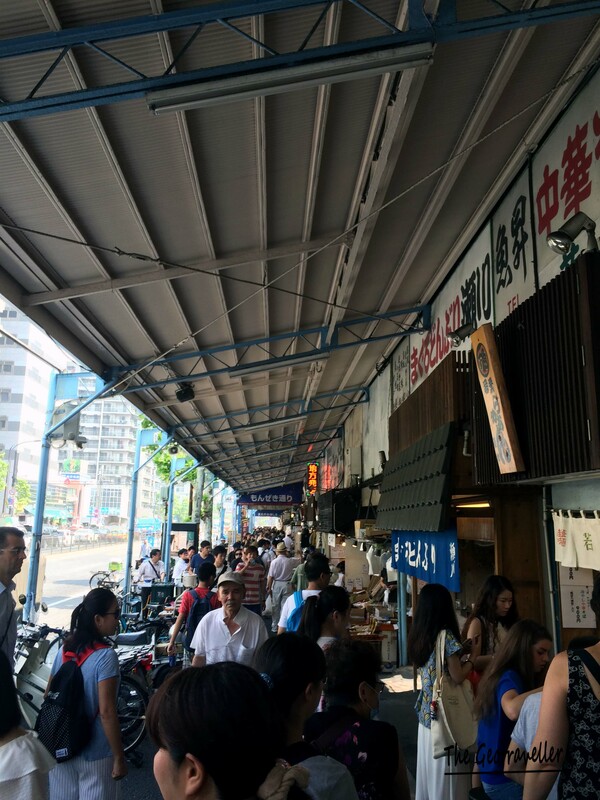 You can try local cuisine, dried seafood and even sushi here. Tsukiji Fish Market. 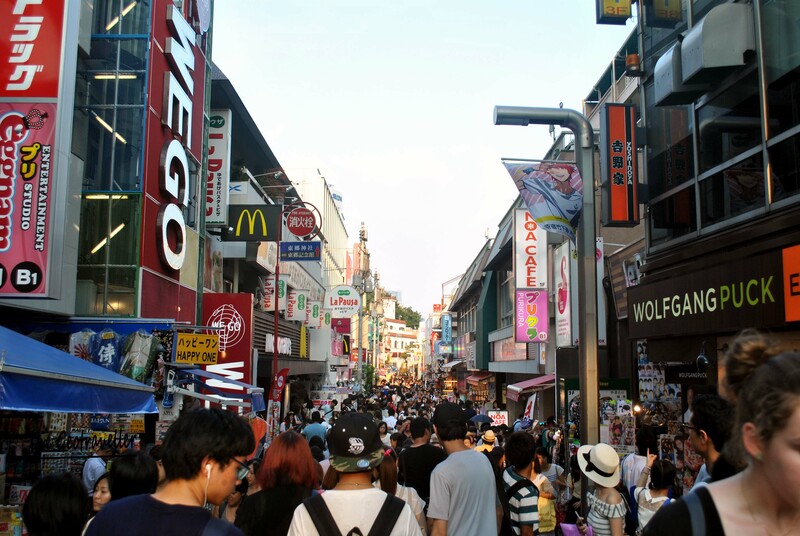 The surrounding area is mostly market that sells seafood. The crowd at the stalls and the market. The Sumo Stadium is not that far from Tsukiji. I would not advice to visit this place unless if there is a tournament. If not, the place will be closed and only a small hall of fame section is open. Prioritize. 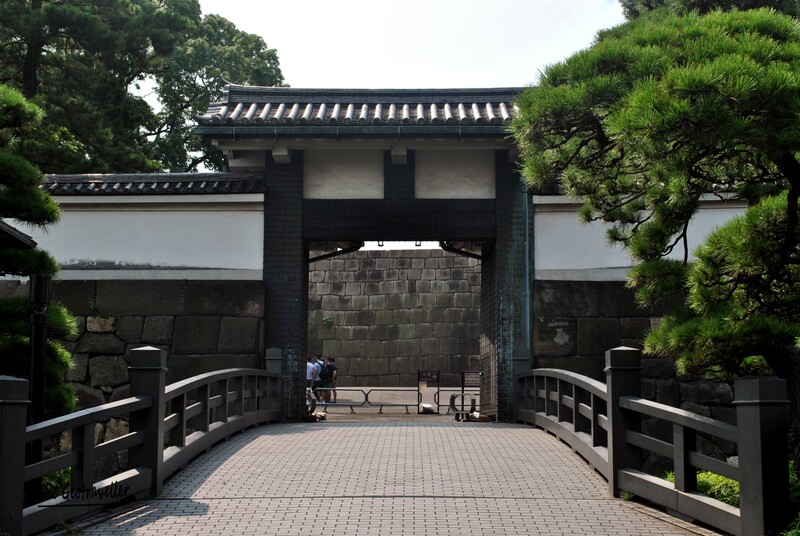 Ryogoku is where you have Edo Museum and Sumo Stadium. 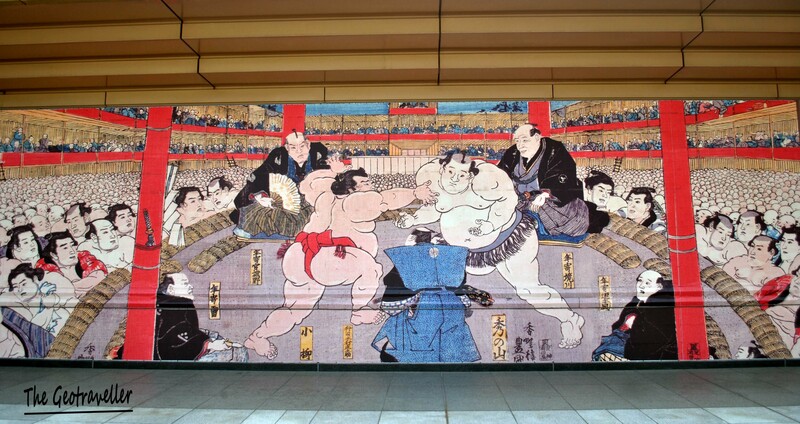 Nice mural at Sumo Stadium. 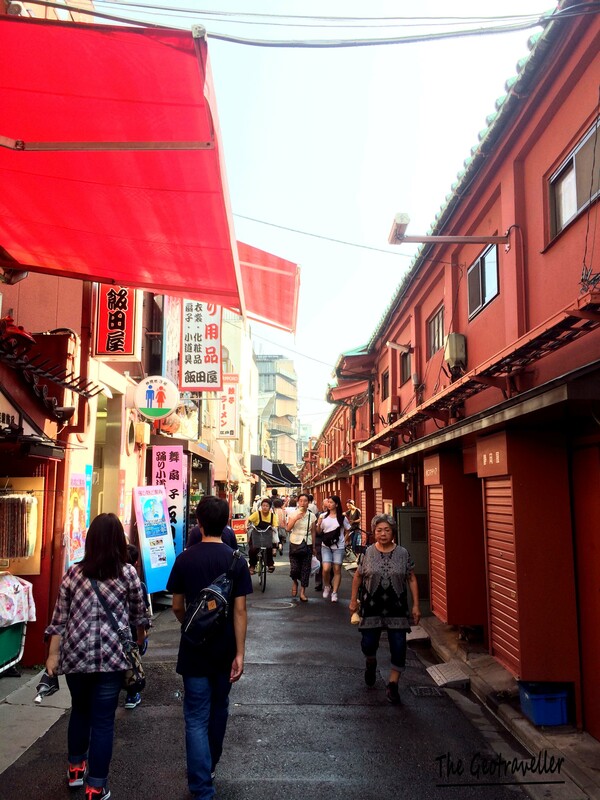 I stayed at Asakusa, so I was not worried if I miss anything. 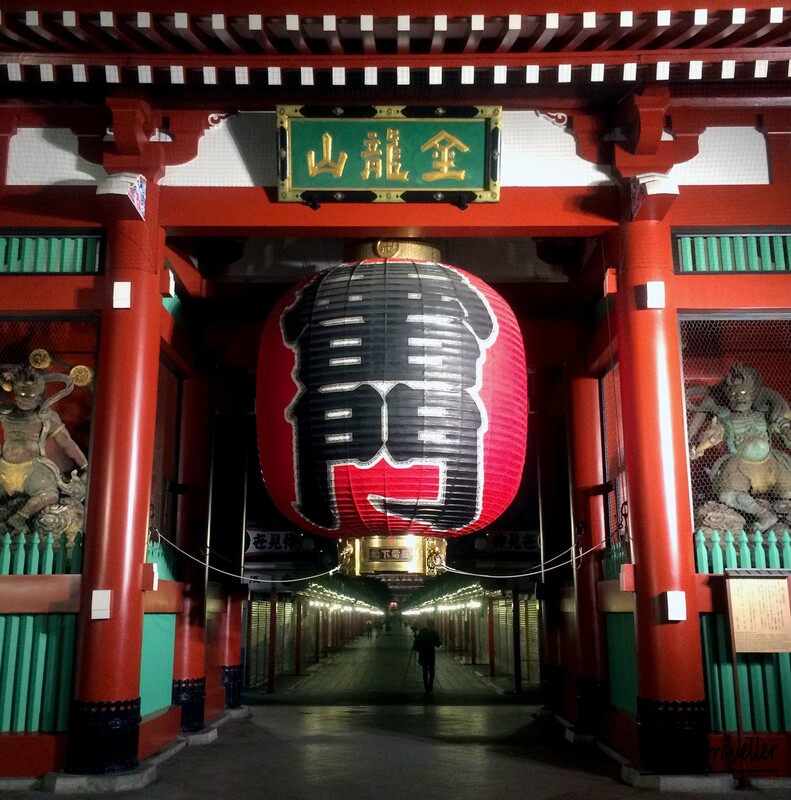 Asakusa has its own attractions. The market is probably one of the best place to get souvenirs at reasonable price. 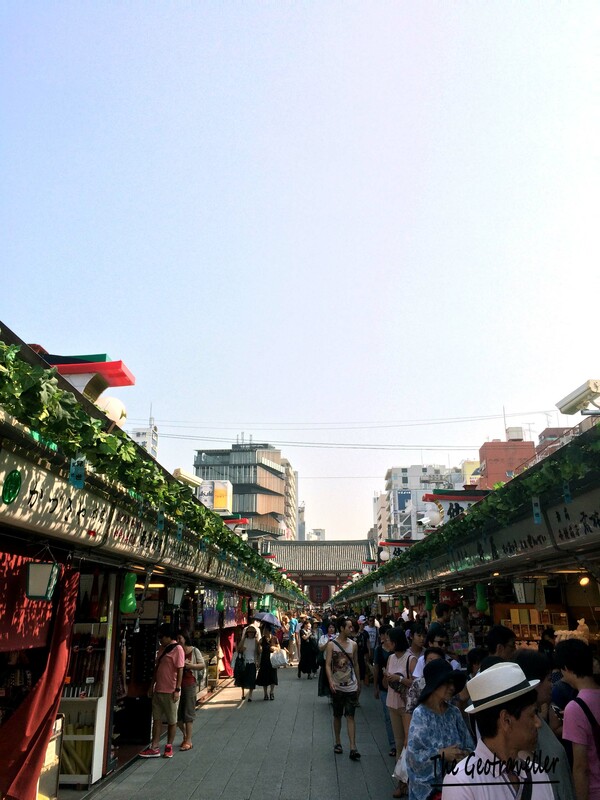 Asakusa is a nice town. You can get cheap souvenirs here. This is a nice place. Put this in your must visit list. 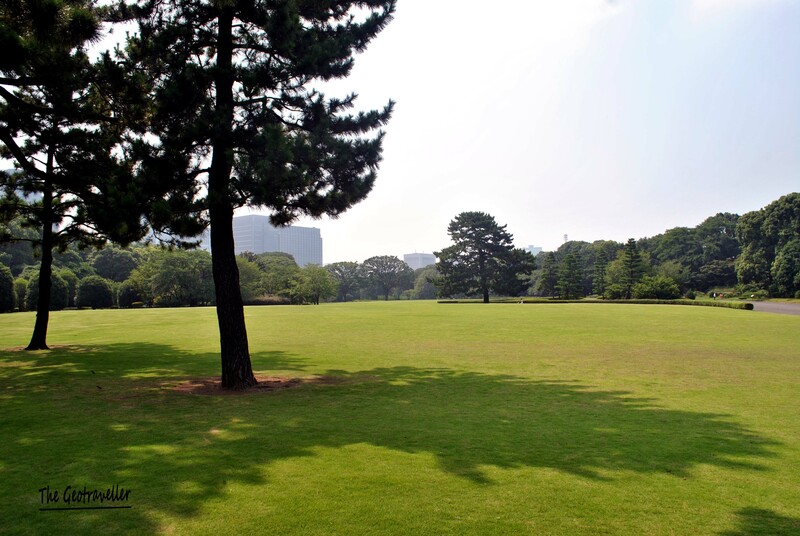 Besides, this is just a stone throw away from Harajuku and not that far from Shibuya. So, you can complete all these places easily. 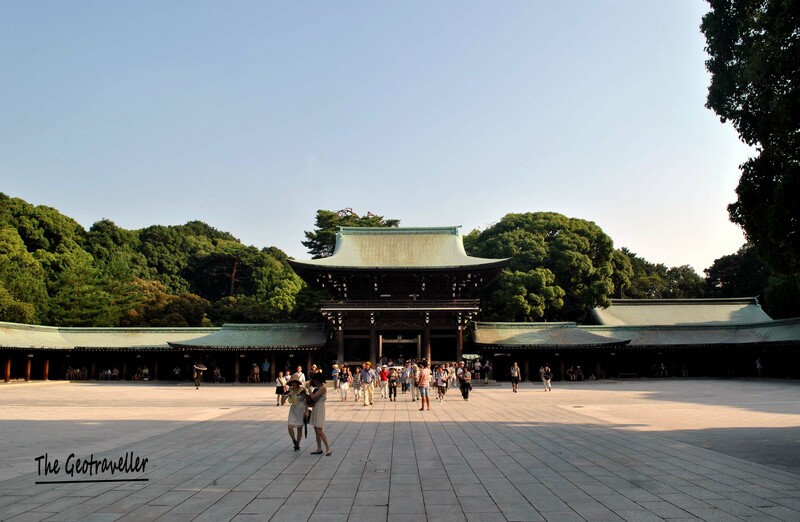 Meiji Jingu. Stop at Harajuku Station. So many people here. You will have hard time walking. The attraction is not really the shops but the people. 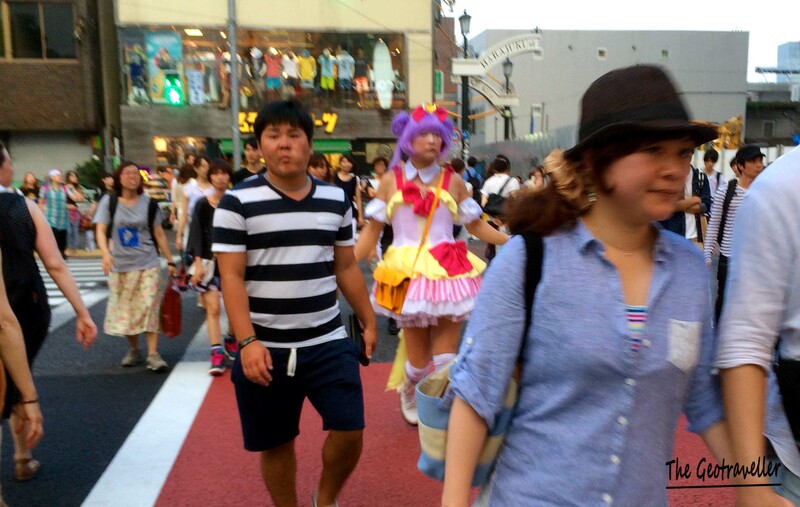 You will see people dress up as anime characters or kawaii school girl. 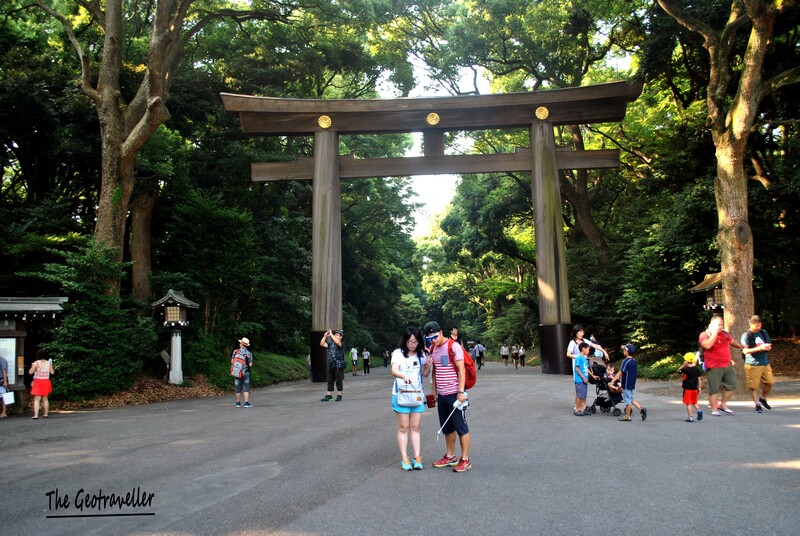 Meiji Jingu and Harajuku is just next to each other. 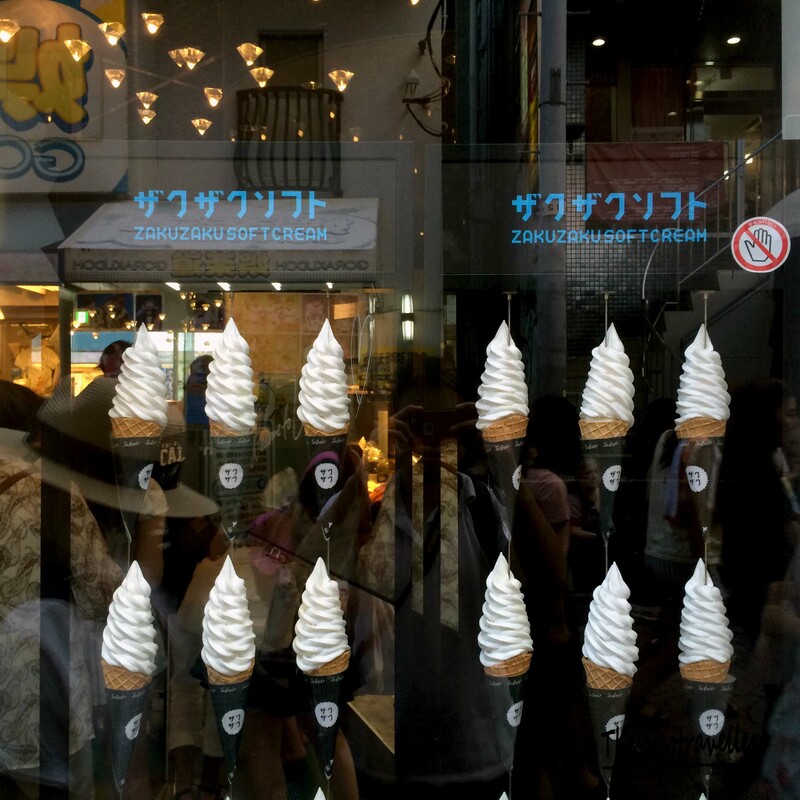 Tasted this creamy ice cream and it was so yummy. Kawaii girl. Oh wait, something is not right here. Girl or a man? To visit this area, you probably need more than 2 days. I think this area would take you at least half a day. 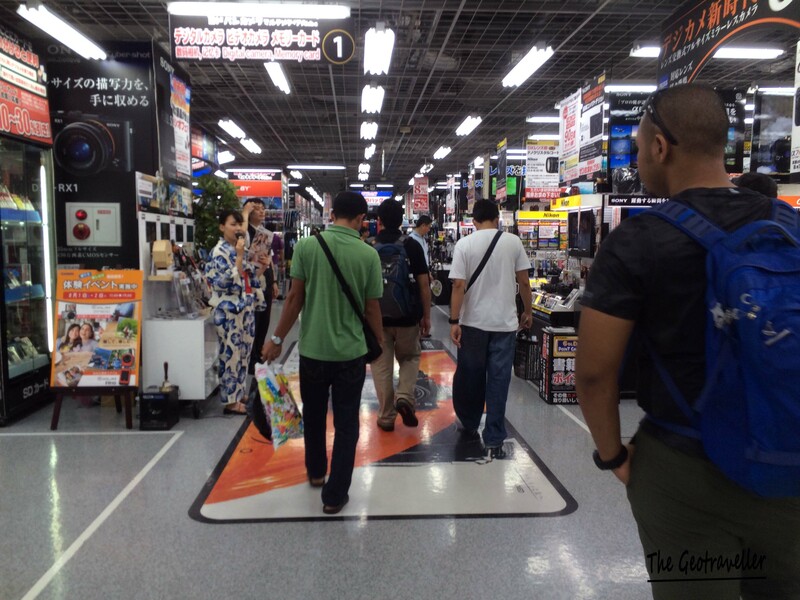 Especially if you are a fan of anime or gundam, you might want to spend whole day here. As for me, I was not that impressed and also because I am not a die hard anime fan. Gundam Front is a huge place. You may need another day to spend time here. 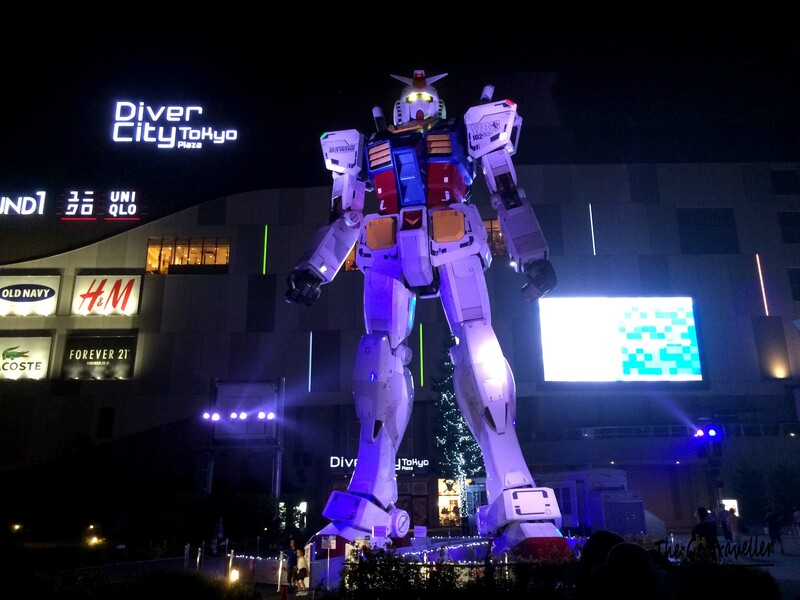 We came here at night and the park was closing by the time we arrived but managed to see the moving gundam. 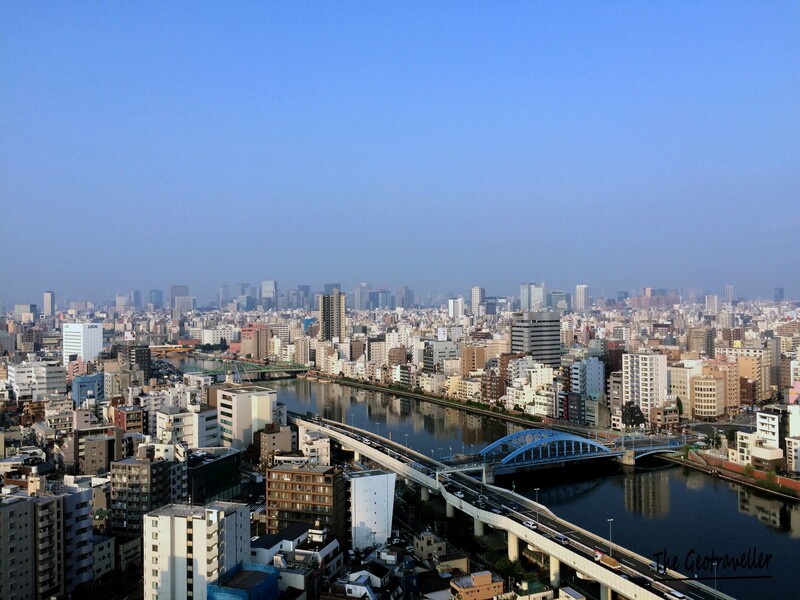 Crossing the bridge from Asakusa, you may find Tokyo Skytree. One of the groups stayed at an apartment around the area. 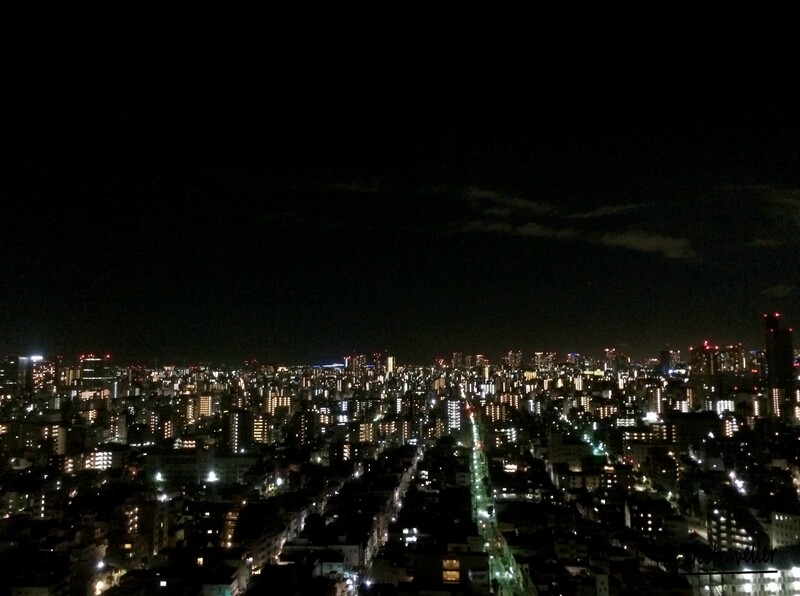 So, I took the opportunity to take the photos of Tokyo from the apartment’s balcony. 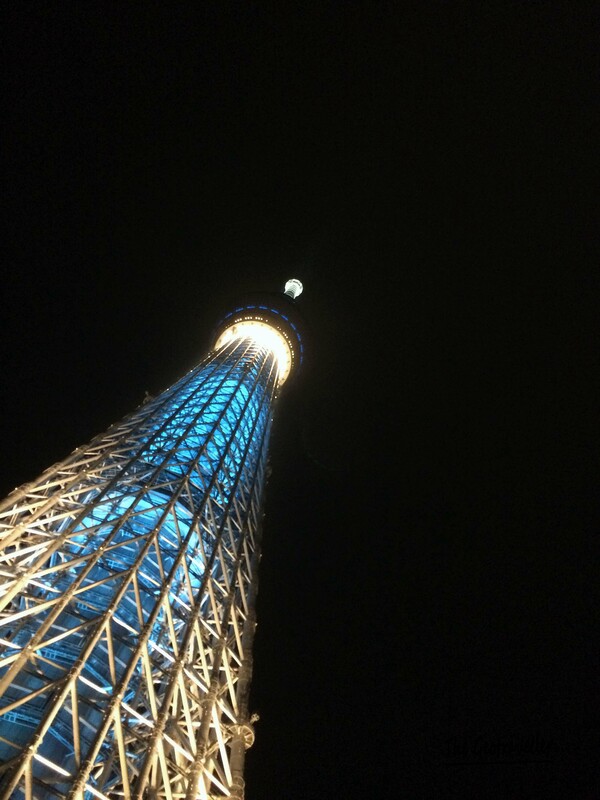 Tokyo Skytree. 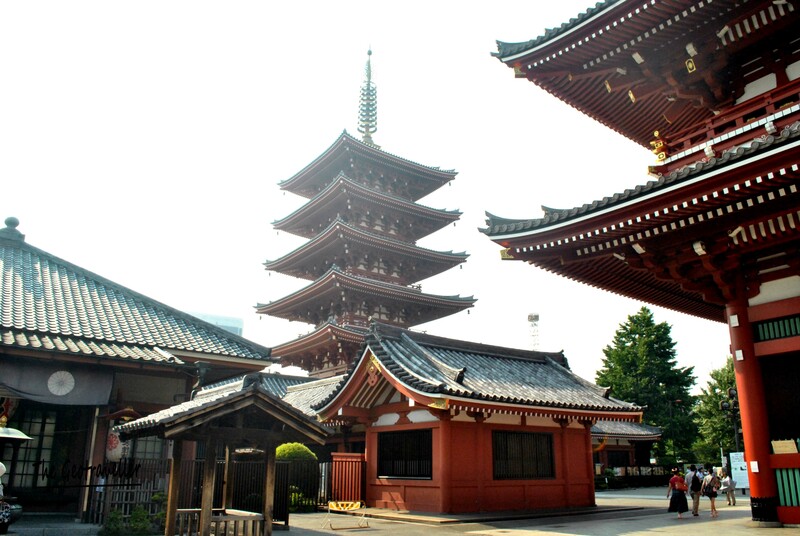 You could walk from Asakusa or change from Metro Line to Tobu Skytree Line. That’s all guys. My dream is to return to Japan and cover the whole country. It would be awesome! Put up your hands if you are up for it.